Ah Stanley, welcome back to existence. My friend Anya helped me design both the appearance and personality of him. 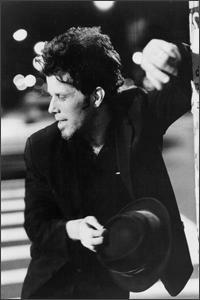 His original appearance, I admit, was a good amount influenced by Tom Waits. Someone later pointed out that he looked like Gustav Mahler. I looked up his picture, and wow, he totally does. 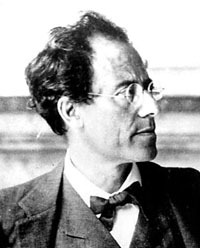 Weird (I had no idea before that who Mahler was, let alone what he looked like). I think my grandpa used to sit on my head. Maybe I am confusing things. I’m like Stanley, I always like to think that maybe today it’ll be different. I love how people so quickly feel like they have a say in a situation where they don’t even belong. I’m with Stanley here. But….. awful food is awful food. I always found this true that I knew writers who didn’t write (or didn’t finish). Which is fine. But I’ve really enjoyed meeting other authors who DO write/finish projects. Both because it makes me feel less alone, and also because we have plenty to talk about. I think at the time this was a bit of a wish-fulfillment strip. I wanted nothing more than to be given some space to work and maybe a friend to banter with. To not have to worry about rent and bills, and to be able to create/write without any thought about making it commercial. I LOVE editorial feedback, probably because I enjoy taking what i find useful out of it and not burdening myself with the rest. This is part of why Bruno and Stanley are a great pair, because they have no problem with doling it right back at each other for a laugh, and I believe that it is truly not a mean laugh. This strip has some subtlety. Often a lead character in a novel (probably especially a first novel) is a thinly veiled duplicate of the author. The description of “she has a difficult time, but makes it through” somewhat reinforces this here. If you re-read the strip with Bruno knowing this, and Stanley being able to see this, it adds a tiny bit. Here we get back to editorial comments (or, in this case, proofreading comments). The point being that someone saying “that’s nice” is not helpful, because EVERY piece of writing can be improved upon.